We are very excited to announce that monthly Syrian Supper Clubs are launching in three new locations in 2018. We’ve been serving up falafel, labneh and every shade of hummus at our sell-out Syrian Suppers in the e5 Bakehouse every month for the last three years. So it is high time we branched out. Each of the venues the Syrian Supper Clubs will be appearing at is very generously allowing our teams to take over their kitchen and space for an evening a month and we’re extremely grateful to them for it. 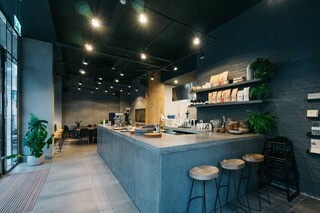 Tab X Tab is the slickest cafe around and the newest on the block in Notting Hill/Bayswater. The interiors have been done beautifully and it’s all the work of the owners themselves, not a spot to miss for a Syrian Supper! The team here are lead by Cleo Roberts and Irem Aksu – a fabulous combination. Cleo has been doing her own Syrian Suppers since 2013 everywhere from Clapton to Delhi. Irem is . We’re thrilled that they’re getting their Syrian Supper Club aprons on for West London. Brick House East Dulwich, is one of two sourdough bakeries (yes – we love a bakery!) bringing bread to south London. 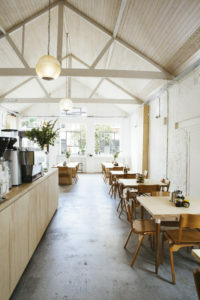 It is a very lovely space to dine in with high ceilings and a relaxed atmosphere. The team here are lead by Louise Hopper, Charlotte North, Geoff Howard and Natalie Moukarzel. They’ve all got links to the Middle East, and Syria in particular. You’ll be hard pushed to find a more organised and fun crew. The Bristol Cookhouse has recently been magnificently renovated and is opening in early Spring 2018. Operating as a cafe during the day they’ll also be running cookery classes, and lucky for us, there’s even room for pop-ups in the evening. Sam Waterhouse is the mastermind behind this place, not to mention a chef to the rich and famous. She’ll be working with Ruth Quinlan, our head chef who has been making the Syrian Supper Club sing for its supper since 2014. We’re very excited to see Bristol chapter launch under their brilliant stewardship. Look out for updates coming soon on the Syrian Supper Club website for further details about each venue and the people behind them. Syrian food is where Hands Up began in 2012, when we started holding pop-up dinners around our own kitchen table to raise money and awareness in response to the escalating conflict in Syria. Since then, over 150 Syrian Suppers have been held, more than 4,000 guests have attended and over £130,000 has been raised. The money goes towards specific projects funding the salaries of doctors and teachers in areas where these vital services have almost completely deteriorated. As the conflict enters its seventh year with increased violence, we are responding again. This time by expanding the Syrian Supper Club to give more people a positive, fun and delicious way of doing something to help. Having been on the receiving end of the extraordinary generosity and hospitality of the Syrian people ourselves, we want to remind and introduce more people to one of our favourite parts of Syria’s culture; it’s food. We reckon there’s no better way to do help those affected by the conflict. Spread the word and book your nearest Syrian Supper Club quick!